As we continue our close-up on local cheese makers, we move west. 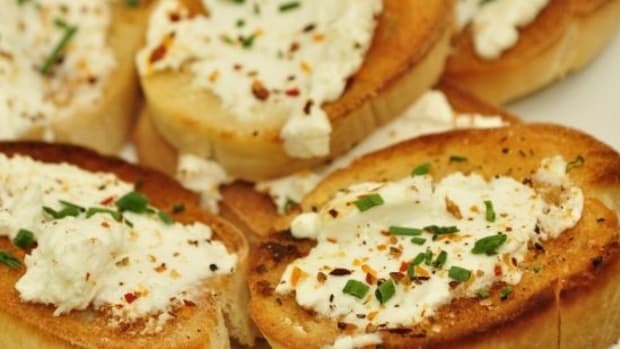 The Pacific Northwest is home to a large variety of goat cheese producers, big and small. Many work with all-natural products and time-honored methods to produce the best in fresh cheese... but are they organic? Not necessarily... but that&apos;s not always a bad thing. Once we learn to look beyond the labels, we sometimes find small, local farmers that are just as concentrated on what&apos;s important in quality cheesemaking-- if not more so -- than certified organic farmers. Fairview Farm in Dallas, Oregon sells, amongst other things, goat cheese. Laurie Carlson, a successful children&apos;s book author and co-owner of the farm, started out as a Home Ec teacher with a PhD in History. After a course in Nutritional Therapy, she realized the effect that food truly has on one&apos;s health, specifically that of her own family. Searching for a substitute for gluten and cow&apos;s milk proteins, which her family cannot digest, she discovered the benefits of goat&apos;s milk. "Making cheese enhanced the nutrition from goat&apos;s milk," she says. "Vitamin K in cultured cheese, plus the Omega 3&apos;s, as well as high protein, selenium, copper, and calcium content of the cheese, so that seemed logical. We also wanted to be part of a local economy, providing the vitality from pasture-based foods, so it all came together." Led by the desire to create a healthier diet for their family, it&apos;s no wonder that the Carlson&apos;s have always tried to farm with natural and organic ideals in mind. "We&apos;ve always followed organic principles, so obtaining certification for the farm was very important to us," says Laurie. "Our pastures, crops, and laying hens are all certified organic with Oregon Tilth." That being said, their goats, which were formerly certified, no longer are... and not through any fault of the Carlson&apos;s. Quite on the contrary, the feed that they give their goats -- a combination of pumpkin seeds, sunflower seeds, nutritional yeast and oats -- was no longer available certified organic. 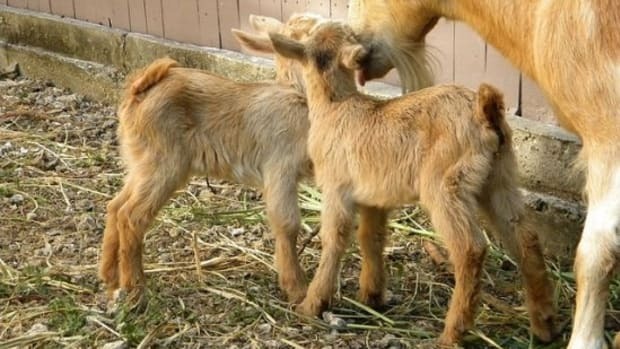 As opposed to feeding the goats another kind of organic feed, the Carlson&apos;s opted to forgo their certification in favor of the optimized nutrition of their goat milk. "Our goats&apos; health is what matters most," says Laurie. "We follow strict organic protocols for their care and feeding. We have no need for antibiotics; they are never sick. We don&apos;t use chemical wormers, their diet and management prevent parasites in the first place. We do preventive vaccinations (tetanus) to avoid having to treat them for illness. We do supplement them with vitamins (C, B, selenium, copper) if they show any deficiencies. We use the barn bedding and manure to enrich the pastures, followed by rotational grazing. Our goats are always allowed outdoors, selectively grazing the pastures and brush whenever they choose. The free ranging chickens eat fly larvae and help keep the farm&apos;s biological balance in place. We are also Animal Welfare Approved, using their strict protocols for raising the kids as well as allowing the animals continual access to outdoors and pastures." By caring for their goats&apos; health, the Carlson&apos;s create a product that is more natural, more wholesome and more flavorful, regardless of the organic certification or absence thereof. As for the products themselves, there are many to choose from. "Our personal favorite right now is the Skyr, a Scandinavian-style soft cheese that was popular in the Viking era," says Laurie. "It has active probiotic cultures like yogurt, and tastes tart and creamy. Flavored with our certified organic marionberries, it tastes like ice cream that doesn&apos;t melt. It&apos;s high in protein, too, so it&apos;s a &apos;no guilt&apos; snack." Ferns&apos; Edge is a goat dairy making farmstead cheese at the base of Mount Zion. Shari Reyna moved to Oregon in 1970 with her children (her original inspiration for venturing into the world of cheesemaking). "I wanted to add some livestock to the menagerie in order to gain control over our own diet," she says. "I was not particularly thinking of &apos;organic&apos; as a concept, but my view of the world did not include pesticides, herbicides, hormones, etc." This worldview, which came from a childhood spent on her grandparents&apos; small subsistence farm in California, translates well to the goat dairy she runs today. While the farm is not certified organic, Shari expresses her opinion that "the extra expense is well-justified in feeding organic grain, etc. to all our animals. 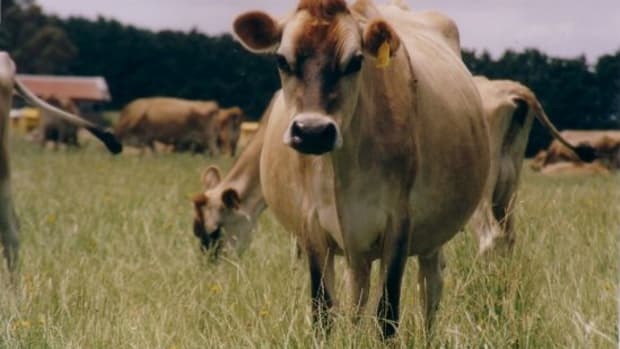 We use our own manure on the pastures and the extra goes to a local organic farm that pays us in organic produce for ingredients in our cheeses (and, of course, for our own table)." In fact, Shari and her family also raise grass-fed beef cattle and sheep on the farm, solely for their own consumption, in order to continue in this natural mindset. Shari may have a point in staying all-natural without being certified organic, as everyone&apos;s ability to continue to be certified may soon be threatened. "Milking animals need alfalfa, and gmo alfalfa has recently won approval and is being planted EVERYWHERE," she says. "There is no doubt it will escape, and then it will be difficult if not impossible to know if any alfalfa is organic or not." The best thing to do, then, is most certainly to continue in an organic and natural mindset, worrying more about the actual treatment of the animals and their food sources than on labels, and with this, Shari has no problem. Not only are her animals treated right, but Shari is an active member in the local food community. She helped to initiate the Lane County Farmers&apos; Market in the early seventies, to help spread the wealth of healthy, natural food, where she still sells her cheese today. 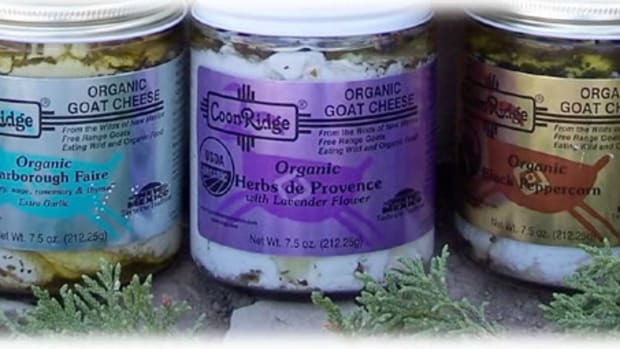 Ferns&apos; Edge produces many different varieties of goat milk products, from fresh raw goat milk to cheese. 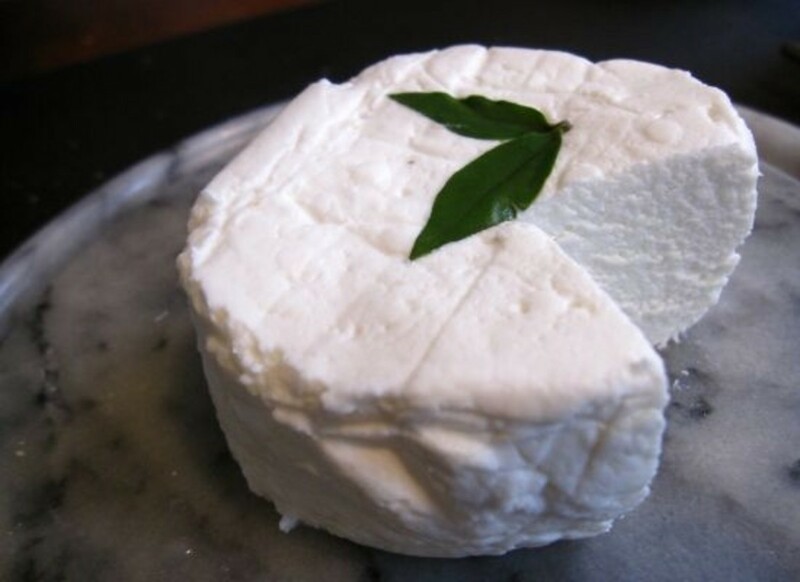 "We are sooo proud of our Mt Zion aged raw-milk goat cheese with its distinctive nutty and fruity overtones," says Shari. 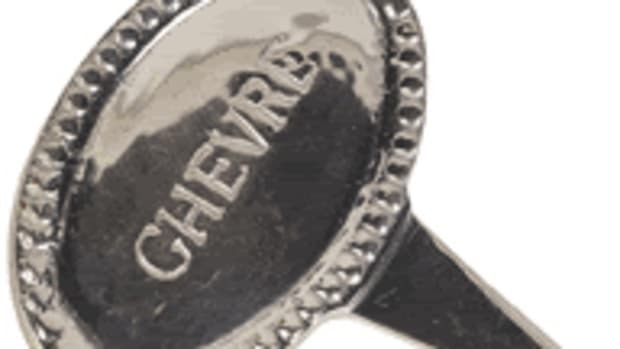 "Our plain and flavored chevres feature local ingredients. Our Mt Chanterelle, for example, is a chevre pyramid layered and covered with local chanterelle mushrooms. Perhaps my favorite of the sweet flavored chevres is our blueberry-ginger, made with local organic blueberries and organic ginger. I&apos;m afraid my favorite varies according to the day..." When someone is this passionate about what they do, there&apos;s no doubt that everything is good. ShariReyna is part of the Oregon Cheese Guild, uniting organic and non-organic cheesemakers in producing "the best." 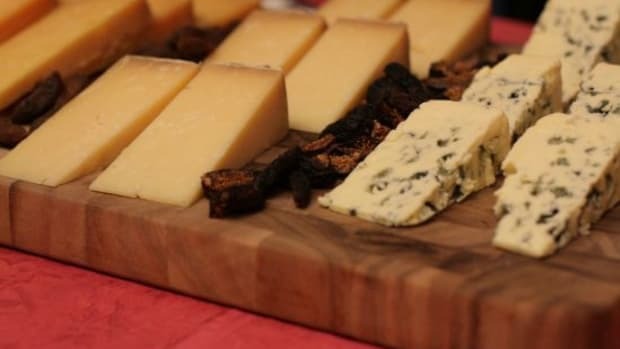 They put on an annual Cheese Festival at the Rogue Creamery in Central Point in March. See OregonCheeseGuild.com for details. 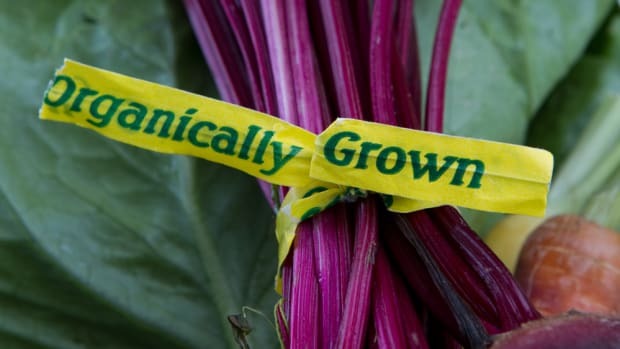 Why are Some Farmers Opting Out of Organic Certification?